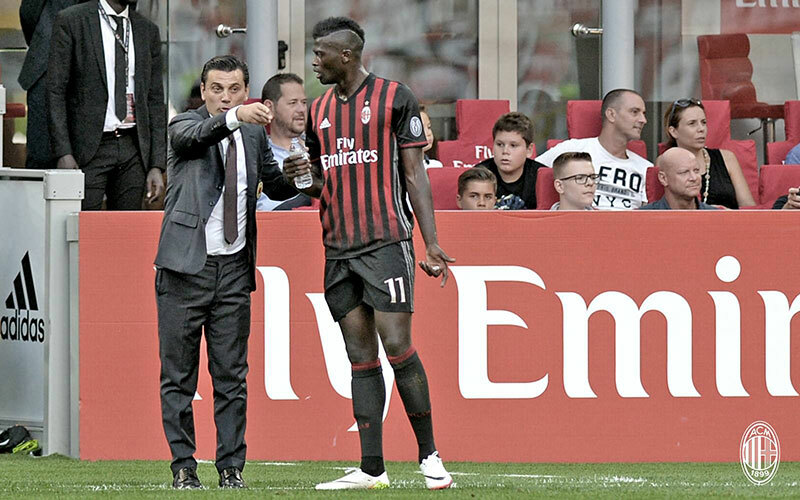 This encounter was a match between two new coaches, Montella and Mihajlovic and a lot was to be expected as Miha wanted to prove how wrong Berlusconi was in sacking him while Montella had to prove he was a better choice. Donnarumma: He is indeed a word-class goalkeeper. Word class players can earn you 10 points all season long. Two points were earned on Sunday and I am sure 8 more will be earned before the end of the season. 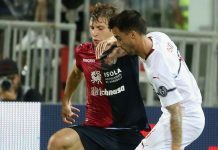 Romagnoli: For all the promises shown last season, Romagnoli is not a leader yet. Something within me believes he still has a lot to learn. Maybe if he played with a great defender for three years he would have learnt a lot but right now, he is just a good CB. Paletta: Players like him put in so much effort that you might just feel guilty blaming them. But there are words called ‘guile’ and ‘style’ and I think he lacks both. His lack of these basic skills and poor positioning awareness often makes him a culprit as he nearly cost Milan 2 points. Players like him lose you more points than they earn you. But what can Montella do? He is at the mercy of the club. Antonelli: I found out just how left footed he is. Looked okay but offered nothing going forward. Defensively he was average and preferred to cover rather than close up and man-mark with intensity. I hope he improves as he was below average. Abate: A leader anytime any day. He might be the only player with a little of the Milan DNA within him. This might be because he got to play with a few greats. He works really hard for the team. His assist for the first goal was served for those that believe that he is a poor crosser of the ball. He mopped up many bad plays along his side of the pitch. He had so much to do. I wish we had a personality like his in the midfield rather than Montolivo. We’ll need him all throughout the season. 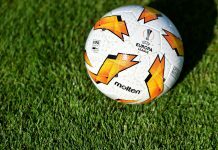 Kucka: Just a ball winner – nothing more, nothing less. Offers you nothing else. He wins the ball but cannot keep it. In a team of talented midfielders, Kucka is the best fit. But in a team as Milan’s, he could be a liability at times. 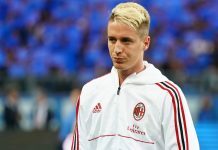 I feel bad saying this, but he is an important player to Milan right now. That is how bad we have become. 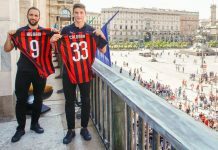 Montolivo: A lot can be said in one word – ‘uninspiring’. Your team just took the lead and are working hard to keep the slender margin. What do you do when you have the ball in the box – hit it as far away as possible. But not Riccardo; Montolivo attempts a ball dribble and loses possession just when we just got it back. He should work in the movie industry: He gave me so much suspense and fear all through the match that I felt I was watching a thriller. Not a captain and not a leader. Just a good player that must be monitored and led by someone with more passion. His performances will improve when he has these personalities around him. Too bad, Milan has dearth of these kind of players. 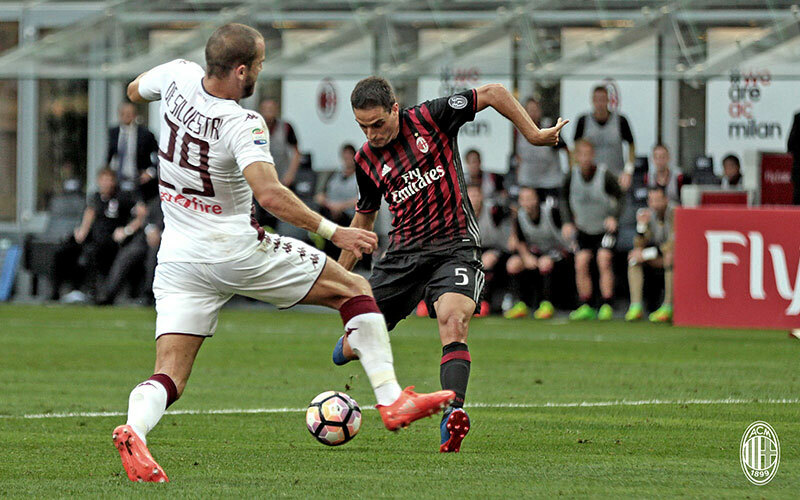 Bonaventura: He is our only ball-playing midfielder and he gave his all. Played too far away from the opponents’ box and this affected our quality in the final third. 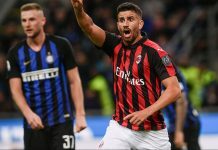 One of his few forays to the opponents’ box was a moment of pure quality, reminiscent of a Rui Costa or a Seedorf moment. It led to a penalty and it won us the game. He will tire out during the season. But we can count on him for some highs and some lows. I love him. Suso: A gifted left footed player playing at his peak. This is the best you can get from Suso. We should not expect anything more. He will get you at least six goals all season long. But he will flop on the big stage. A good player and he showed that. He should have been used as a squad player but the Milan we have right now has to look up to players as this. Bacca: He might not be world class but in this team he is. He works really hard. This means that he makes it easy for you to play him in. Milan should be lucky to have ever had him. Still having him is another gift from mother-nature. Now it is clear we need him. The fans will never forgive Milan if they lost this gem. Niang: He made two key contributions throughout the match. The first was sublime and executed with a great technique. The second was opportunistic. A good performance all throughout the match. I have this feeling that he tires out of matches and cannot put in 100% effort all through 90 minutes; anything between minutes 5 to 70 is great. Can he really keep up this form over the whole season? I really hope he can. 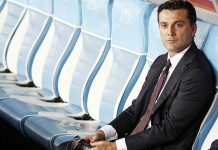 Montella: A good coach when it comes to tactics. The build up to the penalty was off the training ground. We made some beautiful moves and he deserves all the plaudits for this. However, he does not strike me as a disciplinarian or being hard enough on his players. The players, especially the midfield looked unfit or maybe the Torino players were fitter. There was a consistent gap between the midfield and attack. The players preferred to cover rather than to man mark with intensity. This was solely responsible for the two crosses that led to Torino’s two goals. I don’t want to be quick to judge, as we still have a long season. Another thing, I hope Milan management are not imposing ‘4’ at the back on Montella; at this stage, I don’t care what the formation is if it works. I just want us to challenge for titles. 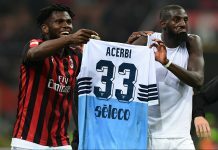 Mihajlovic: I think he walked away with his head held up high. His team caused us many problems. They imposed their game on us and our midfield looked non-existent. Kudos to him. Though I don’t rate him that highly. 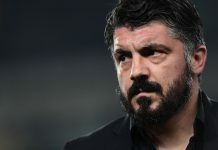 A better coach should have beaten this Milan. 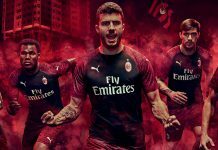 If you want to have your article posted on Rossoneri Blog’s Fan Zone, contact us. I agree, milan do not have a good passer who could switch play from wing to wing . 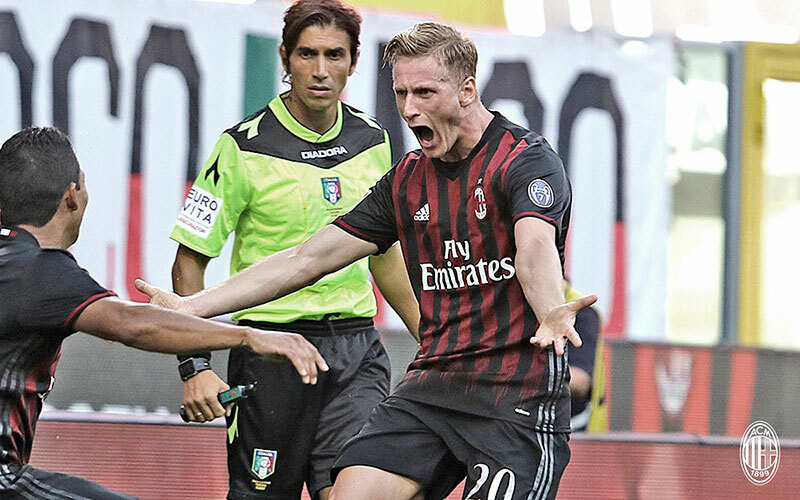 Niang did it once and look how it ended .Abate was finally unleashed and became a goal . We gave away our long pass maestro Pirlo counting on a hopeless Montolivo who had never put a long ball forward confidently . Bacca could do much much more with a nice lob forward. Only few criticize Antonelli. Agree with you, he wasn’t good when defending. Very good opening display for 70 minutes. Always fearful that Milan can’t close a game out no matter how many goals ahead they are. To challenge for top 4 they must improve defensively as a unit, especially space between defense and midfield. 3 points – great start! Bravo! BTW, funny fact, de sciglio is first choice in Italy national team but in Milan he just rotten in bench LOL!!! Did you guys notice this? Can we dream to buy TS#33 back in next summer with the investment by new owners? 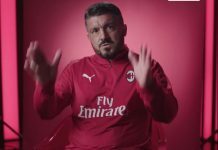 I dont agree with your article 100%.I believe Milan can get into the champions league easily this year with the way we play going forward Gomes should partner Romagnoli and calabria and MDS should get playing time. 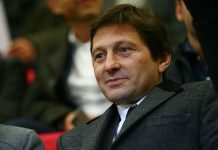 hacheem i totaly agreed wit u.
Montolivo is our problem for now. Juve is definitely ahead of Milan and others. The “perhaps” is for others with question mark for emphasis. 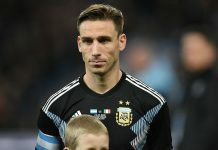 Next match against Napoli, De Sciglio should start in favor of Antonelli, Gomez in favor of Paletta, Sosa in favor of Bertolacci what do you guys think? Comment: this is just the start of the season. Lets wait for up to another 6 matches and then see the amends the coach will need make. Up Milan. I believe we can make top 4 this season.